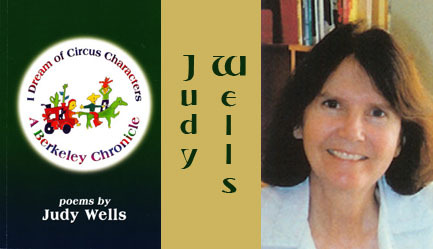 Judy Wells spins out playful yet profound tales inspired by ancient Irish island-voyager myths in The Glass Ship. Although the characters you will meet here are not ordinarily associated with northern seas -- palaminos, flamingos, even Popeye and Olive Oyl -- their mischievous guidance and shape-shifting proclivities are steeped in the Celtic wisdom tradition that Wells inherited from her ancestors -- updated in a classic search for healing and reunion. I'm surrounded by a white archipelago -- a hundred thousand white islands surrounded by a white sea. 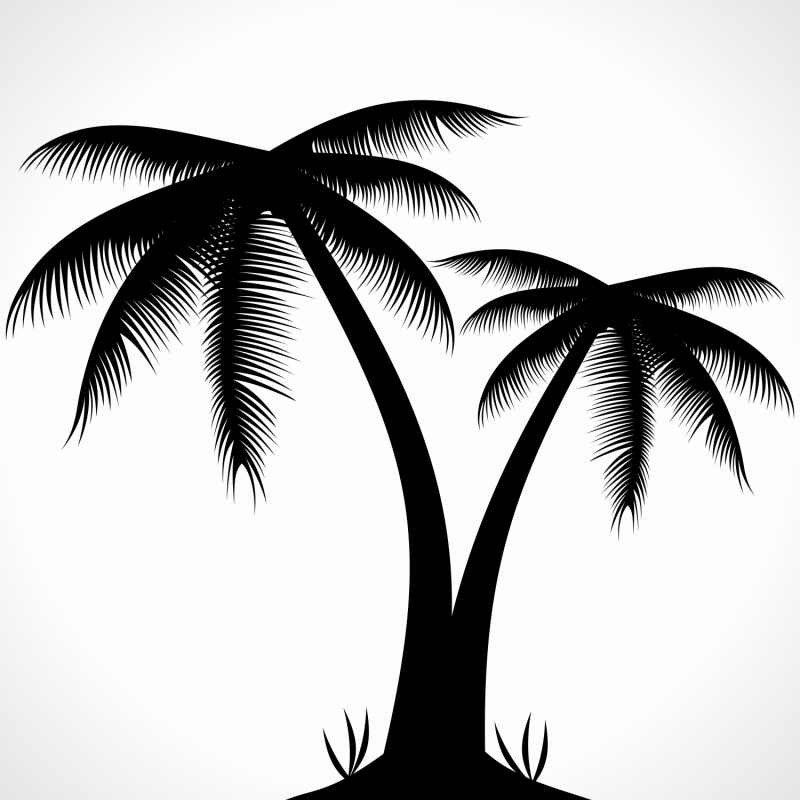 The islands are constantly breaking up, and on each one, invisible chalk-white people are losing their relatives to other islands. You can hear their shrieks when lovers are separated and parents are separated from their small white children. Sometimes you hear a sigh of relief when a mom loses her difficult teen, and the son cackles with glee, but he's soon calling from a distant island for a white bread sandwich with vegan mayonnaise. She's the only white mo m among the hundred thousands who can make his sandwich just right. One day the white islands may grow green trees, but for now, all is white, a pure white universe. 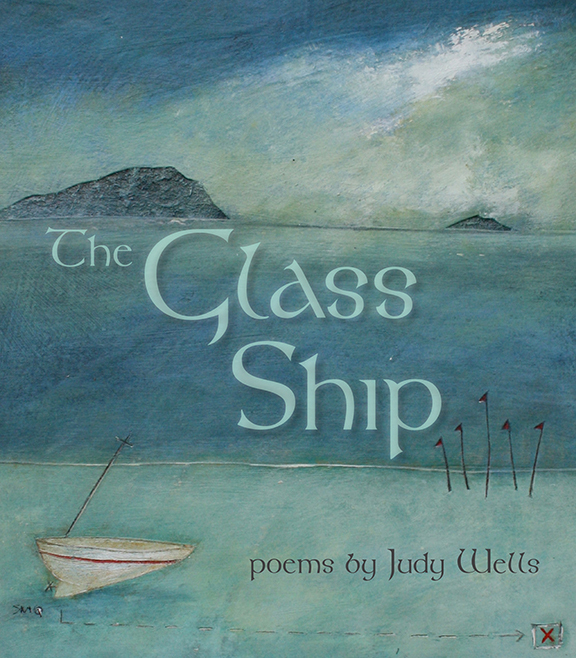 "Every prosepoem in Judy Wells’ The Glass Ship is a note played on an Irish harp. Together they make up a music of childlike wonder and amazement: a Book of Spells. 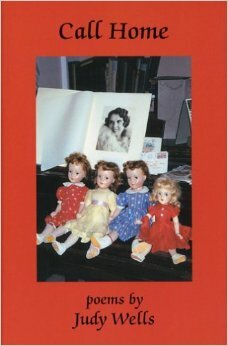 . . What surprises are in store as this Irish Alice sinbads her way through Poetryland." ﻿"The comic genius of Judy Wells takes a serious turn in Call Home. Ninety-two-year-old Irene announces to her children that she is dying, and so the wake begins with the waggish matriarch in full attendance. In thirty-two poetic vignettes, Judy Wells tells the story of an Irish-American mother who has endowed her clan with a sense of drama and high humor that will prepare them to negotiate the pitfals of property inheritance and renegotiate what it means to be a family after the funeral. Call Home tells a deeply touching tale with universal relevance" -- Bridget Connelly, Ph.D., Author of Forgetting Ireland (Named a Best Book of 2003 by The Irish Times). “Is all that we see or seem but a dream within a dream?” the American Romantic poet, Edgar Allan Poe, hauntingly pondered as he sought answers to life’s mysteries. Irish American poet, Judy Wells, in her collection of prose poems, The Glass Ship, a multi-layered phantasmagoria of Technicolor dreams within dreams, is searching for answers too. Her nameless, lusty, irreverent narrator, an accomplished sailor, voyages alone on a small boat to fantastical worlds. 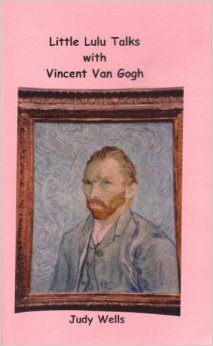 Like Alice in Wonderland, she playfully and mischievously travels life’s looking glass, compelling us to join in her fun as she probes the serious and profound.” ﻿Read more﻿! 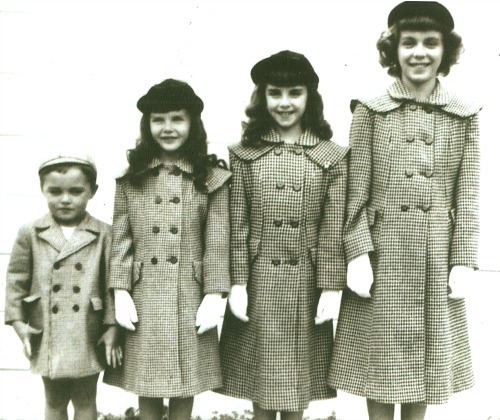 “Judy Wells made a synchronistic appearance in Part I of this blog, when, lonely for companions in Poetry Land I wandered into a poetry reading where I thought I’d know no one. Judy, the featured reader, reminded me that we had an old connection—we had been in a consciousness–raising group together in the late ‘60s. Since hearing her funny provocative poetry that night—a lapsed Catholic’s thrust and parry at the nuns, the pieties, the absurdities of a Catholic education—I have loved her wit and exuberance. 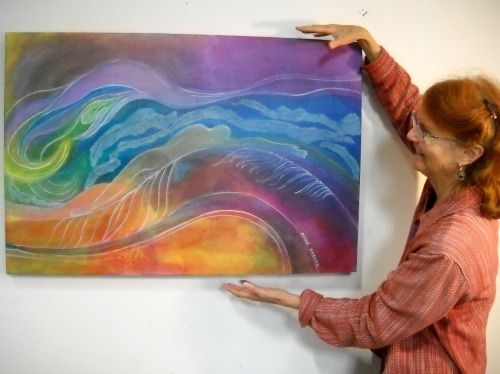 But the wind chimes of synchronicity really began pealing as I immersed myself in her latest book of poems, The Glass Ship.” Read more! Woman See'd 2, Summer 1977, "The Inner Tube," "Pigeon Energy"
Woman See'd 3, Fall 1977, "Downtown Oakland"
Woman See'd 4, Winter 1978, "Fly, she said," "The Many Rooms"
Woman See'd 5, Spring 1978, "A Furious Lady"
The Sow's Ear, Spring 1978, "The Circus Man"
The Wild Iris 5, 1978, "I Had to Tell Her"
Women Talking/ WomenListening IV, 1979, "Shifts"
City Miner 11, 1978, "My Deer"
Chameleon V, 1978, "Downtown Oakland"
Southwest Women's Poetry Exchange, 1979, "Tsonogoa," "Sammy and Me"
Southwest Women's Poetry Exchange, 1980, "Juana Maria"
Sister Lode, Dec. 1978, "The Call"
Sister Lode, Feb. 1979, "What Would the Women Say?" Sister Lode, June/July 79, "Navajo Women"
Sister Lode, July/Aug. 80, "Can words wrought/ so soft from dream be understood?" Sister Lode, Mar./Apr. 80, "The Plum"
Conceptions Southwest, Spring 1981, ﻿"Let It Come Down," "Henry, I'm at Big Sur"
Sister Lode, Jan. 82, "Guernica"
Berkeley Works 1, Jan. 82, "The Ph.D. is the Kiss of Death for a Woman"
Woman See'd 8, Winter 82, "The Perfect Woman's Poem," "G.A.P. (Great American Poem)"
Chameleon 6, Mar. 82, "On Paul Speer's Living Room Floor"
New America, v. 4, #3, 82, "Navajo Women," "Labor"
San Marcos Review, Spring 83, "Like Juba"
Berkeley Works 2, April 83, "The Small Nag," "Plagiarism"
Celibate Woman Journal 3, January 84, ﻿"She is seen alone/ at poetry,"
Buddhist Peace Fellowship Newsletter, January 1984, "38 Days, I Fear for You, Dorothy"
Fast for Life Report, March 29, 1984, "38 Days, I Fear for You, Dorothy"
Cypress Review, January 85, "Judith, My Mother Said"
Berkeley Works 4, Autumn 85, "The Couple"
Chameleon 9, Autumn 86, "Hope," "This Body," "This Fragile Earth"
Benicia Writer's ," Summer 86, "Father and Lovers," "The Plum"
Chameleon 10, Fall 1987, The Stanford Poems, "Amboise," "Carole," "Coupling," "Blois," "Sailing," and "Paparazzi"
Athena Incognito 9, Spring 88, "Transition"
Poetry San Francisco, Summer 1988, "Missing you a long time"
Exit 13, Aut/Win. 88, "The Part-time Teacher is jealous of other starting part-time teachers," "The Part-time Teacher wonders whether she will have a job each semester," "The Part-time Teacher has a self-effacing genius in her class"
Poetry San Francisco, Winter 89, "My Father's Death"
Kameleon 13, December 90, "Leaving Albuquerque," "Ladders," "Song"
Sacred River, April 1991, “Poet with Wall Street Journal"
Sacred River, May 1991, “How I Feel Sometimes About the War," "War's End"
Sacred River, May 1993, "There are Wild Grey Ponies in my Dreams"
Dream Machinery, November 1993, "Vocation"
Beatlick's Nashville Poetry Newsletter, #17, Nov. 1993, “Confessions of a Counselor"
The Flying Dog, #10, Jan 94, "Frida Kahlo Was In Pain"
Dream Machinery, May 1994, "Summer Heat"
Pro-fess-ing, v.4, #16 May 1994, "The Part-time Teacher does not like her contract," "The Part-time Teacher wants to start a union," "The Part-time Teacher is fired from her night job"
Howling Dog, v.6, #1, 1995, "The Seminar"
Awaa-te, Fall 1995, "The Matisse T-Shirt"
Beatlick's Nashville Poetry Newsletter, #28, Jan. 1996﻿, "I Went to Santa Fe"
Sophia, St. Mary's College, Spring, 1996, ﻿"Everything Irish about Me in a Nutshell," "How I Learned Poetry, Theology, and Grammar All on the Same Day in Sixth Grade"
Street Spirit, January 1998, "Berkeley, New Year"
Street Spirit, April 1998, "Emergency Room Flashback"
The Walrus, Mills College, Spring 1998, "What We Forgot," "English Test"
Southwest Women's Poetry Exchange, Summer 1998, "Light as the Holy Ghost"
The Crazy Child Scribbler, July 1998, "We Were the Cause of Our Second," "Grade Teacher's Nervous Breakdown"
The Kerf, College of the Redwoods, ﻿May 1999, "The Mennonite Men,"
Southwest Women's Poetry Exchange, April 1999, "The Dress"
Howling Dog, v. 6, #2, "The Seminar"
The Walrus, Mills College, Spring, 1999,﻿ "Waking the Dead/Peig's Funeral"
Southwest Women's Poetry Exchange, 2000, "A River Runs Through My Head," "Rainy Day Woman," "Adrift"
U.C. Berkeley Gold Student Yearbook, 2000﻿, "Blue, "English Test"
Southwest Women's Poetry Exchange, April 2001, "I Went to Santa Fe"
Crazy Child Scribbler, October 2003, “Feather River Art Camp: 104º," "The Power of Story"